Stevie Stone’s Rollin’ Stone featured a wide array of guest appearances, but perhaps none was more surprising than reggae legend Peetah Morgan. 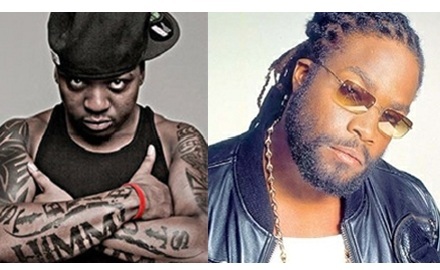 The famed vocalist of the Morgan Heritage band made a memorable appearance on “Oneness”, a track that took Stevie Stone’s raw street influence and mixed it with the powerful emotions that only reggae could tap into. The result was one of Rollin’ Stone‘s most aggressive and original tracks. “Oneness” was so buzz-worthy in fact, that when Stevie Stone dropped in for a live interview on the Strange Music Podcast, we had to ask him about the incredible collaboration. In case you didn’t tune in, here’s what you missed! Tell everyone who Peetah Morgan is. Why is having him on a record such a big deal? Everybody needs to go and do their research on Peetah Morgan. Peetah Morgan is a legend. That’s the Morgan Heritage family. He’s a reggae legend. He’s been doing it for a long, long time. Young people don’t really know who he is, but I encourage everybody to go back and do your research on Peetah Morgan. Peetah Morgan is a phenomenal reggae legend. I got clicked up with him through my homeboy in St. Louis, actually a producer that works with Strange a lot too, Koko with Basement Beats. I clicked up with him because we were working on the album and I let him know what I wanted. He’s the one that put that into play. Big shout out to Koko. He works hand in hand with Peetah Morgan a lot. I believe they’re under the same publishing company or something like that. They do work a lot together. That was a blessing out of nowhere. That was one of those ones that I didn’t plan on it. I told them what I wanted. I went to his house the next day and the record was done. The hook was done and the beat was done. From what I know, Peetah did it quick. He did it in like fifteen minutes and he sent it back. That’s how talented he is. That’s very, very big. Everybody should definitely go and do your research on him. What do you think of Peetah Morgan’s appearance on “Oneness”? Are you a fan of reggae?